Stripes are everything we are loving and this skirt is perfect for your off-duty wardrobe. 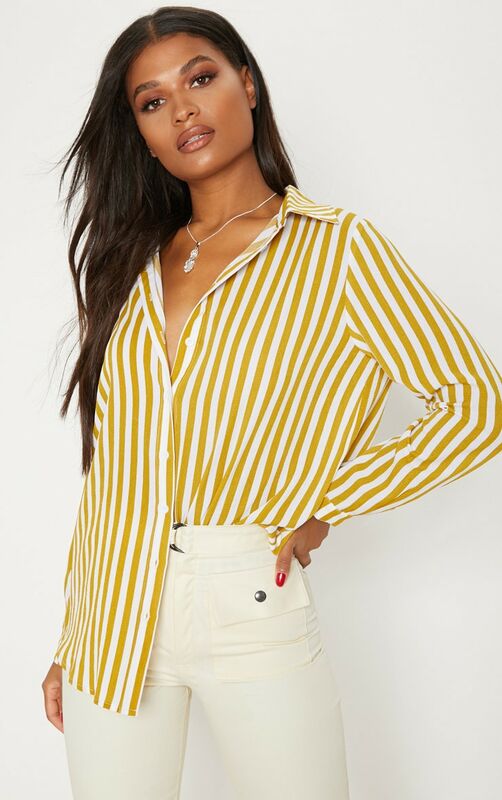 Featuring an oversized fit in a mustard and white stripe design material and button fastening. 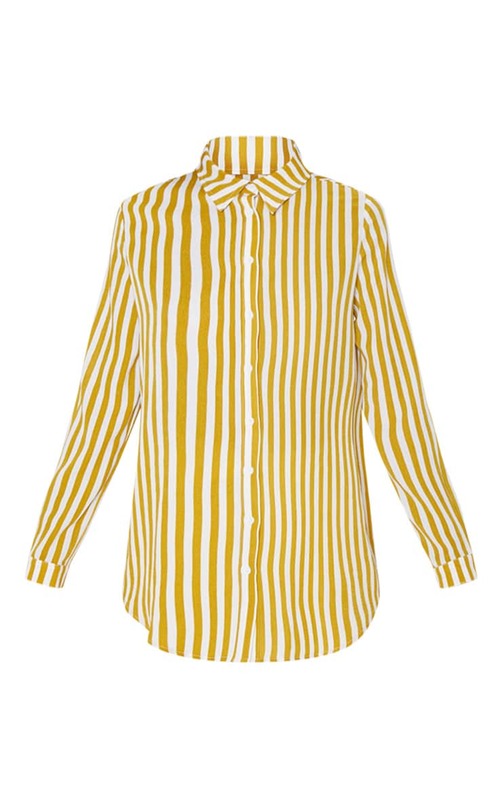 Style this shirt with white trousers and barely-there heels for a day to night look.